Radio Noer live broadcasting from Suriname. 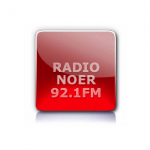 Radio Noer is a community based radio station broadcasting for the mass community of Suriname. This is the radio which tries its level best to uplift the image and passion of their culture to the world for making and spreading their culture to the world. Radio Noer is one of the most famous online radio station on Suriname.